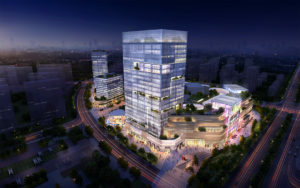 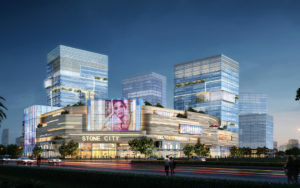 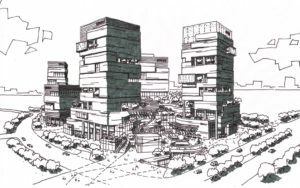 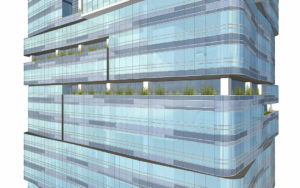 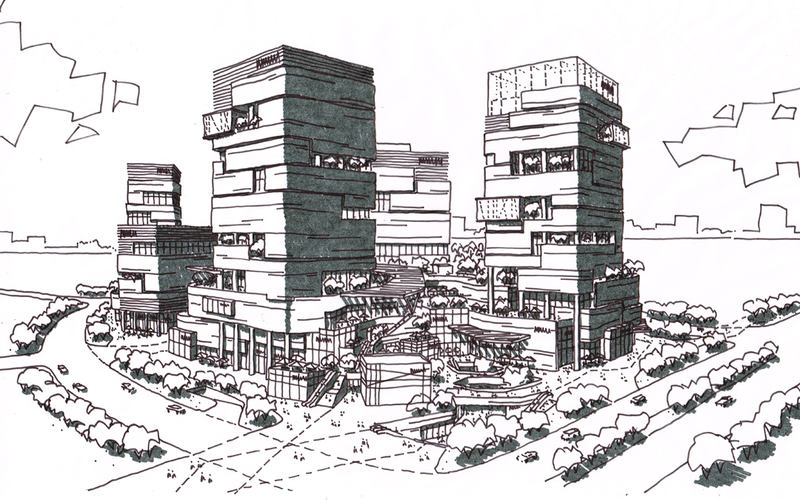 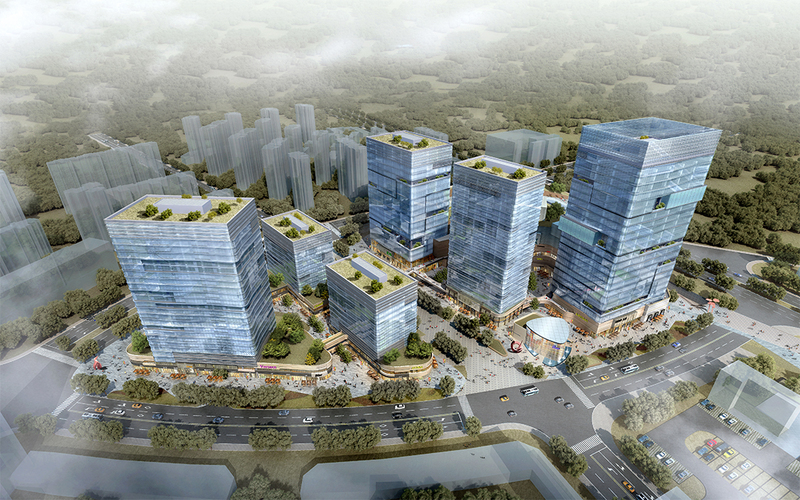 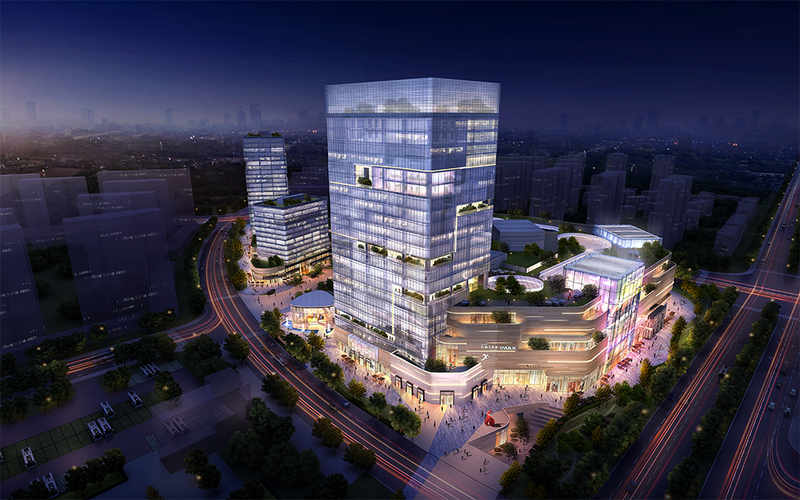 Schematic design for a mixed-use retail, office, hotel and service apartment project in Nanjing, Jiangsu province, China. 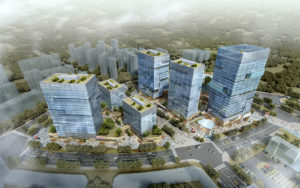 The concept links back to the original walled city of Nanjing and the memory of walking up and along the battlements, looking out across the city. 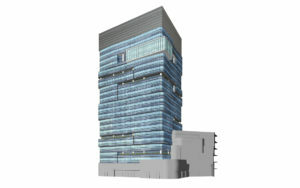 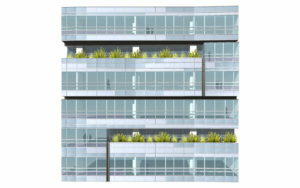 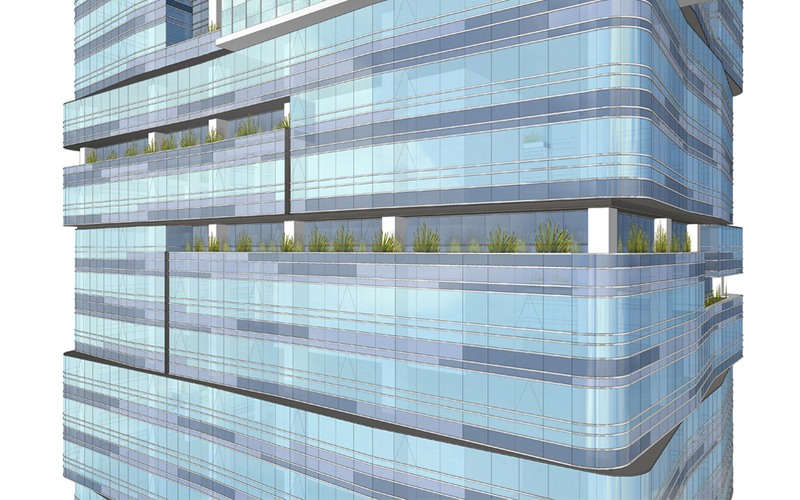 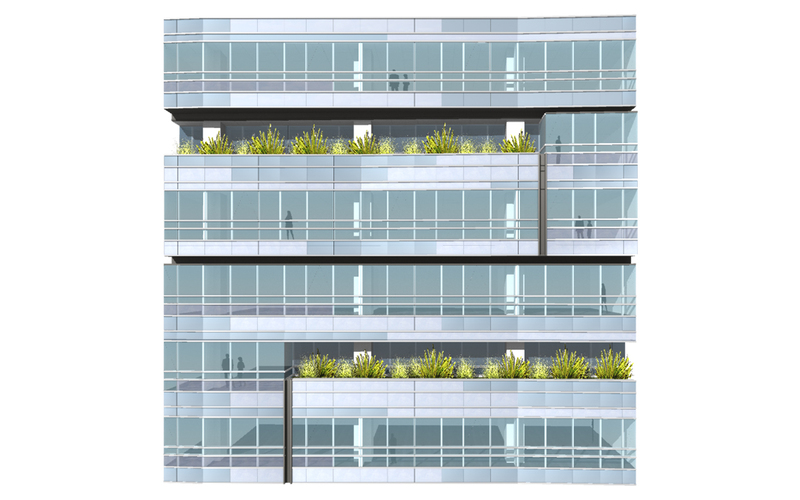 The heavy stone base of the podium transforms to flowing glass tower façade, punctuated by external terraces and glass box icons elements.